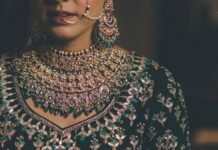 A 101 Guide On How To Slay In Layered Jewellery At Your Wedding - Wedding Affair var admin_url = "https://weddingaffair.co.in/wp-admin/"
Take some Bollywood inspiration from Aishwarya Rai Bachchan and look nothing less than a million bucks. You can also opt for an easy breezy look like Anushka Sharma’s and steal the show with your elegance and grace. Take cues from our very own fashionista Sonam Kapoor and rock this trend like a pro at your wedding. Bipasha Basu looks stunning as she teams up her layered accessories with her bridal attire. 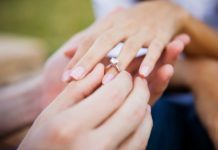 If you are someone who likes to play safe then this style will surely resonate with you. Shloka Mehta recently wore layered jewellery at her engagement party and it definitely got a thumbs up from the fashion police. If adorning heavy jewellery is not your cup of tea then you can take some inspiration from Sagarika Ghatge and keep it light and minimal. 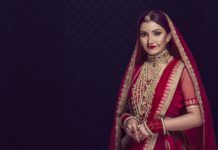 Soha Ali Khan shows us how to effortlessly pair layered jewellery with your bridal ensemble and yet look stunning.